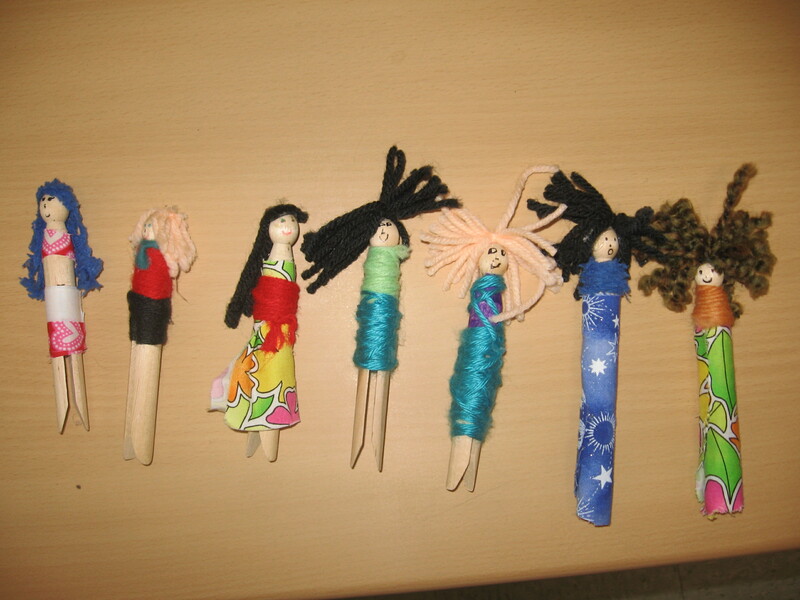 Here are some of the worry dolls created by the elementary school children I worked with in May. Some of the children shared their worries during the art making process. Their ages were reflected in the types of worries they articulated. For example, the younger children talked more about characters from stories which caused them distress while some of the older children talked about getting into trouble at school and having to face their parents. One young girl in particular began group very disorganized and needed much 1:1 attention from me. 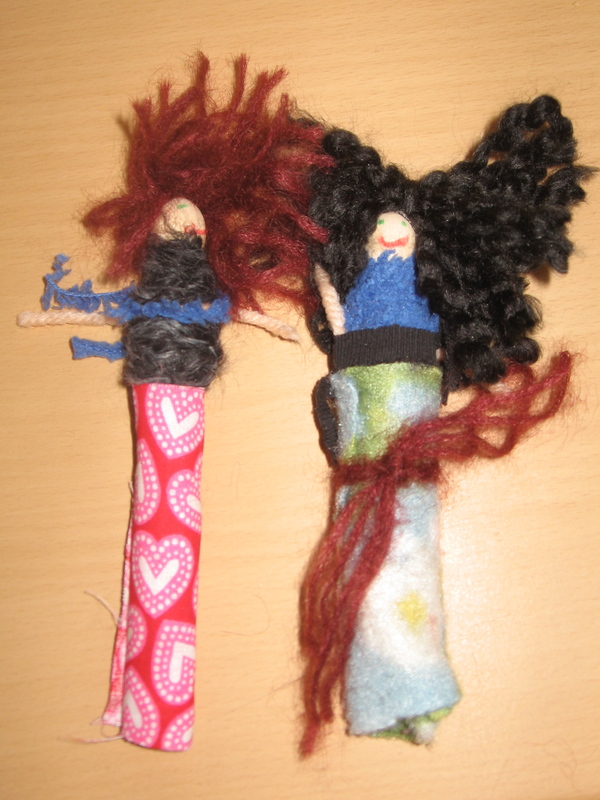 Once she was able to focus on the doll making, she became lost in the process. She was able to work independently for short spells and seemed to calm down. 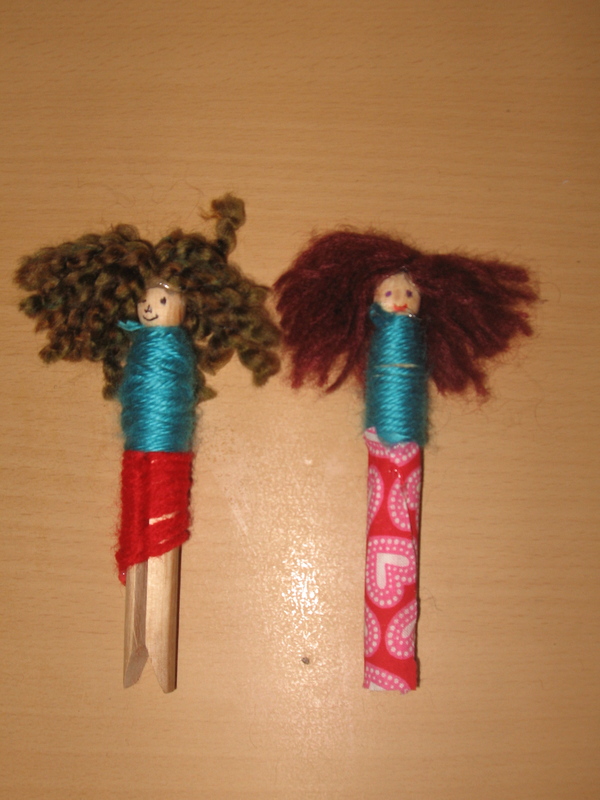 Another child talked incessently about how she needed a “big doll for my big worries and a small doll for my small worries”. It seemed that she was creating order through the process of separating out her needs and devising a plan. It was my honor to work with the students and I hope that the dolls continue to bring both joy and relief to their experiences. Wow. Especially like the big doll, little doll comment. That is tremendous. worries left ,for a bit.